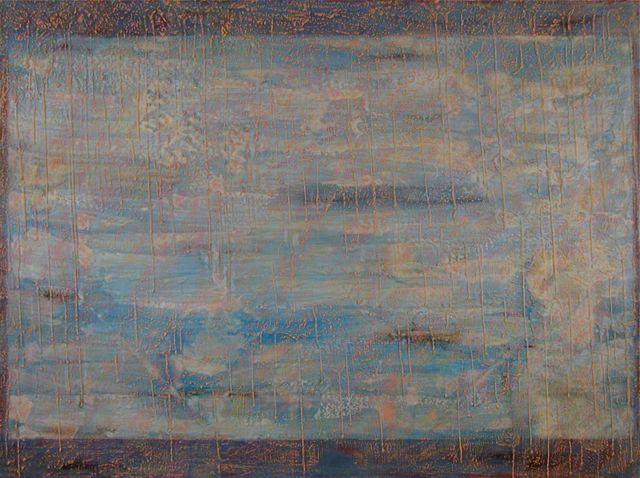 Rainwatching is a series of paintings in encaustic and mixed media. This body of work is consuming almost all of my artistic life at this time. I am deeply indebted to fellow painter, madman, and friend Thomas McDonald for introducing me to this medium in his Chicago studio; thanks, Tommy.